“You are proving every single day what is possible,” Duncan told the crowd, standing in the heat and wiggly with adrenaline. “A lot of people might try to tell you what you can’t do. Don’t ever listen to that. Use that as fuel to drive you to keep going. 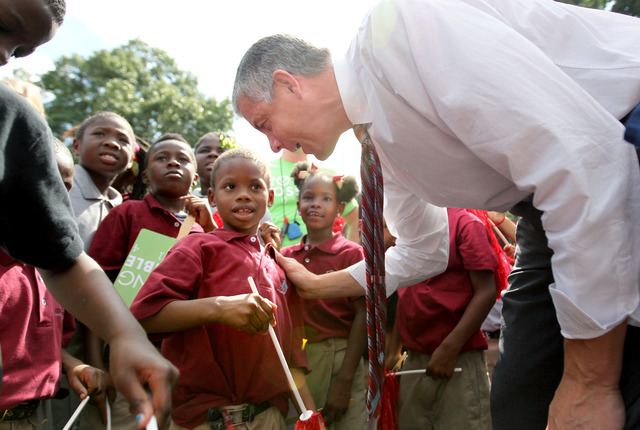 ”Duncan wrapped up a three-day tour across Alabama, Georgia and Tennessee at Cornerstone — the former Lester School — to highlight each state’s commitment to school reforms that he says are designed to help every child succeed. 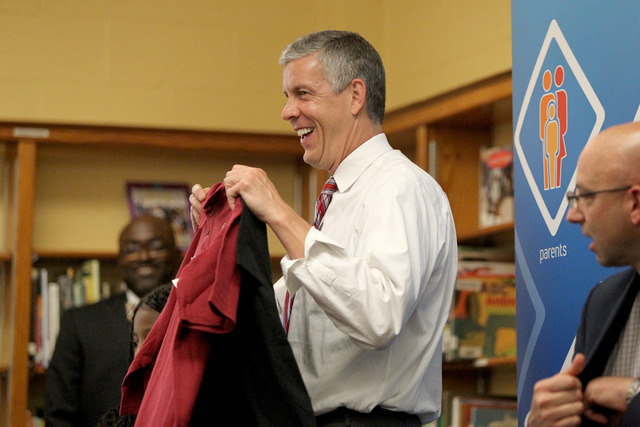 He visited several Nashville schools Wednesday morning. It was congenial, although one man stood up at the end and asked, with all the attention on Frayser as “ground zero” in the school-turnaround effort here, why Duncan in his two visits to Memphis has not spent time there. “Usually my wife decides where I go,” Duncan quipped, but promised to take Frayser under consideration next time. 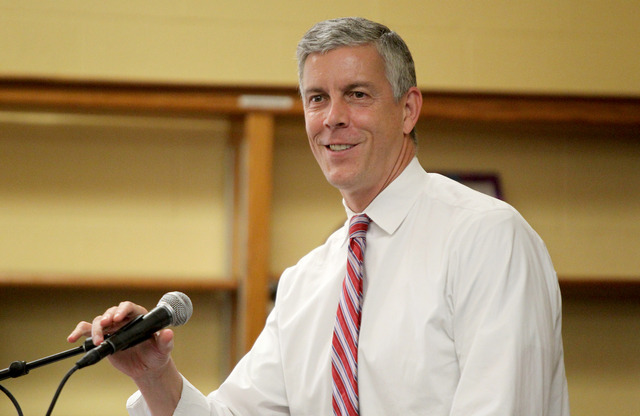 In a city wracked this week with the pain of youth crime, Duncan’s visit was reassuring proof that it is making progress in a long fight against a poorly-educated population.Cornerstone, a school the state took over two years ago while Binghamton warily watched, has become the showplace of what is possible. “Two percent of the students were proficient in reading three years ago,” Barbic told the crowd. “In two years’ time, it has blown the roof off achievement, making 10-to-15-percent gains in some grades.”In scores from last spring’s TCAP (Tennessee Comprehensive Assessment Program), 15.4 percent of the students were proficient in reading, up 11 percentage points. 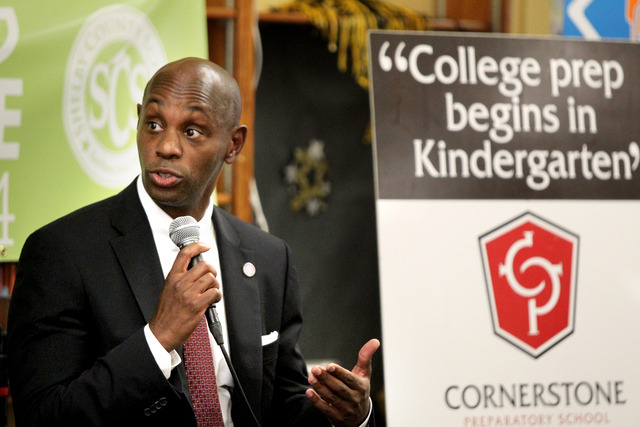 And more than 25 percent are on grade level in math, up nearly 20 percentage points.The chess program, now mandatory for every child at Douglass K-8, came from Lester School. In 24 months, Douglass has gone from the bottom five percent of schools in the state to the top five percent. But he also said most states are not “walking the walk” yet when it comes to placing the most talented teachers and principals in schools with the highest need, including impoverished urban schools, rural districts and Indian reservations where Duncan said the most needy are still not being served.